In recent years the remortgage market has boomed, as many borrowers know that they can save money by moving their mortgage to a new lender or by renegotiating their current deal. As the remortgage market has developed, lenders have started to offer attractive incentives like reduced legal and arrangement fees or even no fees at all. These incentive packages are particularly attractive for borrowers with mortgages less than £150,000. You can remortgage for other reasons: if you have owned your home for a number of years a remortgage could release equity, giving you cash for other things like home improvements and holidays. Your personal circumstances could also change: a rise in income may lead you to consider paying off your mortgage more quickly; removing or reducing uncertainty about changes to your monthly repayments could become important. A Remortgage can help here too. If you are currently paying your lender's standard variable rate or coming to the end of your tied-in period, it's very likely that we could save you a significant amount of money. As independent mortgage advisers we have access to deals from across the whole market. 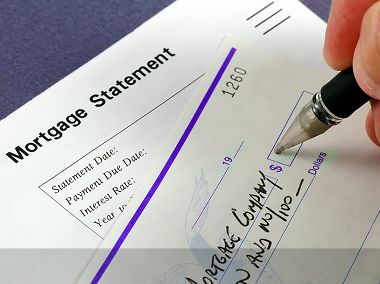 We will look at your current mortgage arrangements, talk through your reasons for a remortgage and identify the deals that best suit your particular circumstances. Even if your current deal carries early repayment charges a remortgage may still save you money in the long run. We won't recommend a remortgage unless it's the most cost-effective thing for you to do. Staying with your existing lender and renegotiating your deal will not incur any of the legal expenses or other costs, so we will always consider this option when calculating what offers you the best value for money. If you would like us to research what the cheapest deal available to you is, simply call us on 01895 678642 or use the contact form below.